Akash began his teaching career in very small rural communities in Oklahoma where people had never seen or met “a brown Indian guy who spoke five languages and had traveled to over 30 countries”. He used his travel experiences to design all of his lessons. For example, he used his experiences of working with elephants in South Asia to teach children to map elephant DNA to study poaching patterns. He currently teaches Spanish at a Title 1 ACE (Accelerating Campus Excellence) 100% low socioeconomic middle school in Dallas and has previously taught at a similar elementary school in Oklahoma City. In both schools, his students have come from very difficult backgrounds and have included gang members, drug addicts and “juvenile delinquents”. The majority of his students at both schools had never traveled outside the US. In his first year of teaching, he was recognized by the State Department of Education and the Multicultural Education Institute as the January 2015 Educator of the Month and the 2015 Multicultural Teacher of the Year for promoting global citizenship in his classroom and achieving a successful academic turnaround. 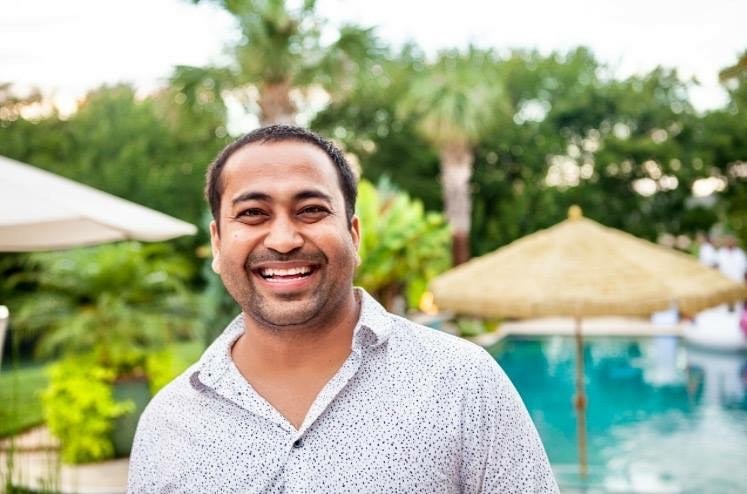 Akash has connected all of his classrooms with people and professionals worldwide using virtual platforms such as Adobe Connect, Skype and Google Hangout. At first, he started inviting his friends from social media platforms. Eventually, he mobilised over 1,000 volunteers from over 150 countries to join his Global Connect database at the World Experiences Foundation, a charitable organisation he founded. He frequently speaks at local and national conferences about his classroom experience. He has also trained over 5,000 teachers in Oklahoma to use the Global Connect database and other multicultural programmes. Today, thousands of Oklahoma and Texas children travel to countries worldwide through World Experiences Foundation’s Global Connect and International Day programmes.